Hello and welcome to our world! We’re Sylwia & Simon, and we’re the eyes behind Wild Call Films. We’ve been working as photographers for several years (have a look at some of our editorial photography work over at Cro + Kow and our wedding photography at Cro + Kow Love), and a couple of years ago we started getting excited by the moving image - so we thought, why not start filming? Before we knew it, we had clients asking us to make films from weddings. So we tried it, and we were hooked! If you are looking for a movie that is fun full of emotion, that tells a story, is unique and artistic, and is fast-paced so that it’s gripping to watch, then you came to the right place! Above all a movie should bring flooding back what you felt on the wedding day. We’re the total opposite of the grumpy videographer with a big camera and tripod filming every movement for hours on end and getting in the way. We dress like guests to blend in ninja-like, & mingle and capture little fragments of those delicious moments and details that say everything. If all of that sounds good to you, then get in touch! Right at the heart of what we do are really tightly edited and short highlights movies that are perfect for sharing on social media. Any longer than a few minutes long, and only your Mum & Dad are going to watch it (and even they may only pretend). But a movie that is fast paced and powerful is just perfect to relive the day and create buzz among family & friends. We love the highlights, but can we also get a longer record of the day? In the course of the wedding day we produce a lot of amazing moments that don’t make it into the tightest edit. It always breaks our hearts to leave them out, perhaps because they don’t happen fast enough for very short clips, and there is always a lot of great footage of guests that can’t all be included. We also understand that some people like a more complete record of the ceremony & speeches. For that reason, we do offer longer edits, typically ‘features edits’ of around 15 minutes to accompany the highlights, and we can also capture the ceremony & speeches as an option - or both of those. Do you do aerial drone footage? Sure! We have a commercial drone permission from the CAA to provide drone services, so we’re properly trained, licensed and insured to do this, and, where the location and weather permit, love to weave a different point of view into our movies. 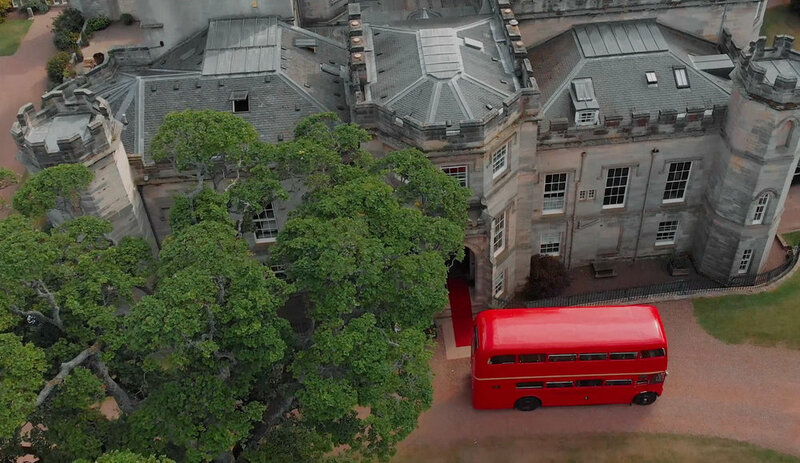 We like to use the drone in a creative way, so that it’s not just footage of your venue from above, but that it’s real aerial cinematography. How about vintage Super8 film footage? This is also great for an evocative look and tugging those heart strings, so it’s also something that we offer. We have vintage Super8 cameras that give a unique look, and we can scan the film and weave the footage into the highlights movie of the day. Just ask us for details about what’s possible. P.S. - WHAT'S IN A NAME?